The Academic Center will be a 40,000 gross-square-foot-building that will provide an academic learning center for University students. The facility will be three floors with the lower level partially below grade and a penthouse for mechanical equipment. 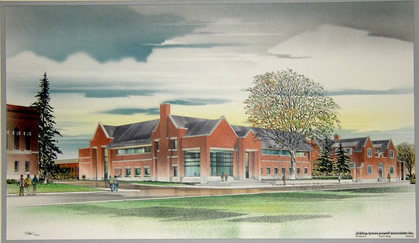 Approximately 22,000 net square feet of space will be created to accommodate: group study areas, computer labs, meeting rooms designated for tutorial work, an academic training room, offices for instructional support, and assembly areas for groups.